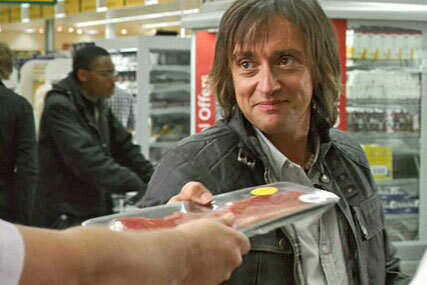 Morrisons has dropped celebrities from its forthcoming ad push, signalling a change in strategy for the retailer. The UK’s fourth-biggest supermarket plans to roll out a campaign during daytime TV from next week. The brand-led activity, which stars children rather than celebrities, has been created by DLKW, with media planning and buying handled by MEC. Michael Bates, Morrisons marketing director, has overseen the shift in strategy. The retailer first ventured into celebrity-led marketing in 2007, using stars including singer Lulu, football pundit Alan Hansen, TV presenter Denise van Outen and 'Top Gear' host Richard Hammond. The approach contributed to rising sales for Morrisons and has been widely credited with boosting the company's financial performance. Morrisons continues to expand its reach in the UK, with a chain of more than 420 stores nationwide. In the past financial year the supermarket brand has opened 43 additional stores as part of its efforts to increase its market share. Since 2006 Morrisons has consistently increased its advertising spend. Last year the retailer spent £61m on advertising, an increase of 7% on the previous year, according to Nielsen.